With two OFT missions remaining, it seemed that the first flight of mission specialists would indeed occur on STS-5. Although NASA was not giving anything away, Rockwell News reported on 23 December 1981: "Although no crews have yet been named officially for the fourth through sixth flights, NASA sources have said that eight astronauts have started Shuttle mission training in addition to the STS-3 prime (Jack Lousma and Gordon Fullerton) and back-up (Ken Mattingly and Hank Hartsfield) crews.'' These were astronauts Vance Brand, Bob Overmyer, Joe Allen, Bill Lenoir, Paul Weitz, Karol Bobko, Story Musgrave and Don Peterson. 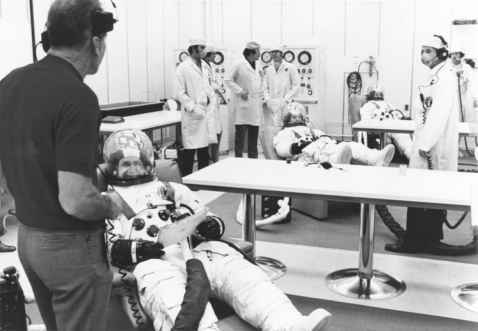 Clearly, seniority played its part in these assignments, as the recently selected 1978 group of astronauts had only completed Ascan training in 1979 and were still in their early technical assignments pending review and selection to a flight crew.